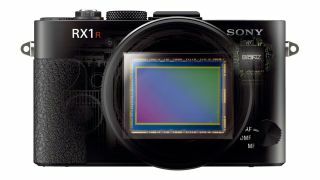 Sony has unveiled a variant on its tiny full-frame RX1, the RX1-R, which removes the anti-aliasing or low pass filter usually seen in DSLRs and high-end compact cameras to achieve sharper shots with greater detail. The original Sony RX1 is the smallest 35mm format digital camera available, and its new sister the Sony RX1-R weighs and measures the same, but has some changes inside. A 24.3 million effective pixel count plus Carl Zeiss Sonnar T* F2 lens are onboard the full-frame compact camera, ensuring images shot with it are high resolution. Like on the Ricoh GR and Nikon D800E, Sony has removed the RX1-R's low pass filter and tweaked the processor, to try to reduce image softening and increase the clarity captured in very detailed scenes. However, removing the low pass filter may increase the chance of moiré patterning occurring in photos of things with a repeating pattern. Sony's Triluminos Colour technology has also been introduced on the camera, which optimises colours in photos for natural results when viewing them on Sony Bravia TVs with a Triluminos display. The camera also gives you the option of adding an optional stereo microphone for your video recordings. The Sony Cyber-shot RX1-R is expected to be go on sale alongside the original Sony RX1 in August, and to have a full price of around £2,600 (around US$3,995 / AU$4,350).